My multi-faceted marketing program gets the job done. As an active member of the community, I leverage my personal and professional connections so that my promotions specifically target your future buyer. I strategically plan each aspect of the home selling process from determining the best time of day to take professional photos to staging suggestions, and from web and print marketing content to pricing for the current market. Andra helped us to sell our home quickly, to the right buyer, and at the right price." Together with my competitive market analysis and the suggested pricing provided by several choice colleagues, I encourage my clients to participate in the pricing process so that we achieve a value that we both know will facilitate the sale. More exposure, more sophistication, better results. While there are thousands of agents and dozens of local brokerages, we want you to learn why @properties is your best choice for selling your Chicago or North Shore home. Our track record speaks for itself. @properties listings have the shortest average time on the market, and the highest ratio of sales price to list price, of any major brokerage in Chicago. When you list your home with us we'll get the job done, get it done well, and get it done quickly! 1. The Shortest Time on the Market at the Best Sales Price. Our listings sell faster, because they’re priced right from the start. Quicker sales mean more money, and of course fewer headaches, for you. 2. Experience. @properties was founded by two of Chicago’s most successful Realtors®. Their track records of excellence speak volumes about their commitment to their clients, their company and you. 3. Market Share. Since its inception in 2000, @properties has become the fastest-growing Chicago Real Estate brokerage firm. We hold a greater market share than any other major brokerage in the area because we get results. Plain and simple. 4. Innovation. In addition to employing tried-and-true methods of marketing, @properties has spent millions to stay on the cutting edge of technology. We use the latest research, and the latest technology to expose your listing not just to more buyers, but the right buyers. Your buyers. 5. Reach. Did you know that more than 80% of homebuyers begin their search online? @properties is a part of Leading Real Estate Companies of the World®, one of the largest Internet distribution networks in real estate. Your listing will be seen by more buyers, in more places than any other firm in Chicago. 6. Exposure. 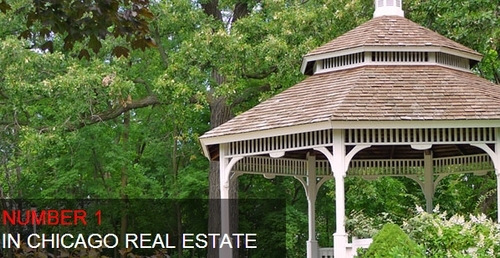 Each and every @properties listing has its own dedicated website. Each features crisp, quality photographs and a virtual tour, including technology that e-mails your listing directly to buyers, looking for homes just like yours. 7. Savvy. @properties agents have the confidence and strength to negotiate the best offer for your property. They are responsive and have the resourcefulness to help you reach your goals. 8. Reliability. Our agents are there for you, every step of the way. @properties agents involve you in all facets of the listing process and communicate your options clearly and candidly. 9. Attention to Detail. Keeping the details of a real estate transaction organized can be a daunting task, but @properties is up to the challenge. Our follow-through and attention to detail ensure that your transaction is efficient, easy and trouble-free. 10. Good Karma. We love Chicago; it’s our home, too. That’s one of the reasons we give our time, energy and money to more than 16 local and national charities, in addition to establishing community gathering places and centers where all Chicagoans are welcome. Good relationships. Good business. Good Karma.